An Aadhar card is a brand name that is given to the concept of a unique identification number. An Aadhar card is an identity card that can bring a solution to all our problems. It can come to various beneficial uses of ours. It is a card that can be attained very easily and without a problem. The registration of this card is free and applying is also easy. All you have to do is visit either a camp or the regional centres for applying. If not a camp then you can go online and book yourself an appointment in the regional centre. Once your appointment is approved, then you can visit the regional centre with the documents they demand on the date and time. 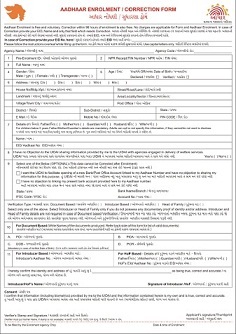 If you fail to visit your appointment will be cancelled and you have to re-apply, same is applicable if you fail to carry your required documents. 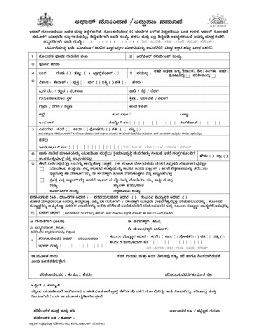 You can fill the application form at two places, one at your home after you download the form online in the PDF format, easily available at https://uidai.gov.in/forms.html or at the centre and at both places you can avail it for free. If you are not sure as to how to fill it, the lines below will definitely help. 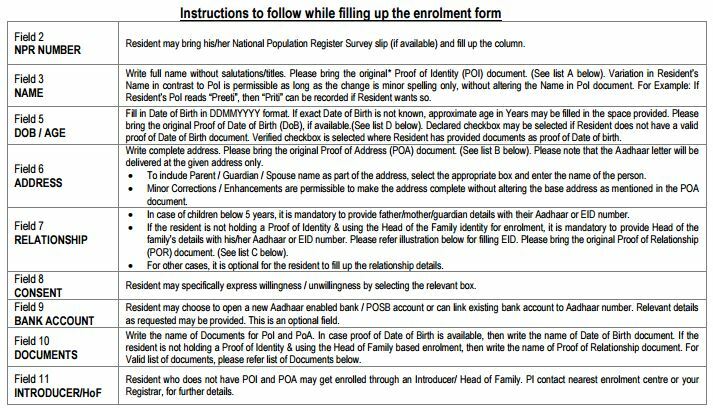 The first two boxes that ask for the Pre-enrolment id and the NPR receipt/TIN number respectively are to be left empty by the people who belong from the 16 states where Aadhar card is operational. While they need to be filled by the people who belongs from the other states who believes in the National Population register. Then you need to fill in the third box which asks you for your full name, the exact way it is printed on your identity card. The fourth box demands you to mark a tick on your gender. The options provided are ‘male’, ‘female’ and ‘transgender’. 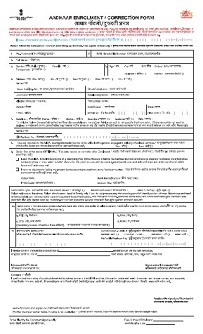 In the fifth box, you must enter the details of your birth, that provides the age you are of or the exact date of birth. You also need to mark it as declared or verified. 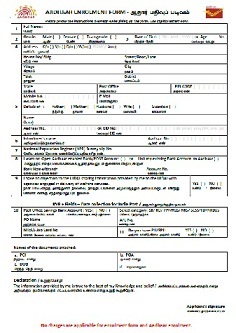 If you have entered your date of birth and also have a document to prove it, you should mark it as verified, while if on the other hand you have only mentioned your age and because you do not have a document to prove it, then you should mark it as declared. 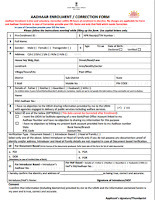 The next box demands to know about your permanent address or the address you want to register nationally. Here you have to very carefully fill up each and every detail. You have to mention your house number, a landmark to locate your house, the pin code, the state and the city. Also, you need to mention the district and sub-district and the area post office too. This box also wants information on your mobile number and e-mail id. The seventh box is for the details of your family. It is not necessary for you to fill it but if there is a child whose age is below 5 years of age, then the details need to be put in. The eight box requests your permission to share your information with the agencies that may come to use in future. You need to tick the ‘Yes’ or ‘No’ option. 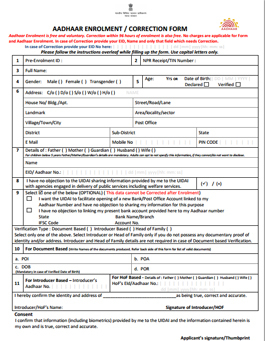 In the ninth box, an option of opening a new bank account or post office account directly linked to your Aadhar card is provided to you, and another option of linking your current bank account to your Aadhar card is provided. The tenth box requires you to fill that how you are going to verify your enrolment. If you have a kid below five years of age then definitely you can go for the option of the introducer, and if you do not have an address proof in your name, then you can opt for the Head of the family option. In both of the above case scenarios, the eleventh box needs the details of the introducer or the Head of the family. Last but not the least you need to put a signature or your thumbprint against your consent stating all information provided by you were true. 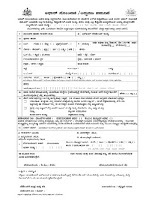 Place at least one identity proof of yours beside you while filling the form. 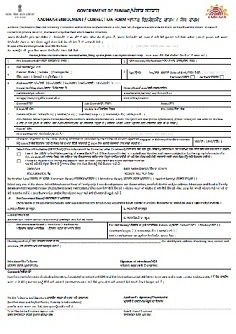 Do not scratch on the form. While filling the address be very specific while providing every detail. Get information beforehand. 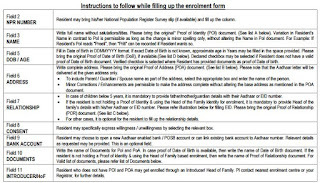 Hope these points help you filling the Aadhar card application form, because once you are done with this process successfully you would get your Aadhar card. Tamil Nadu is the 6th most populous state and 11th most largest state geographically of India. Tamil, the classical language longest surviving in world is the language used by majority there and also same language spoken by Northern Sri Lanka. Approx 10% of total employment in India are from Tamil Nadu itself and has highest number of business enterprises with 10.56% of total Indian enterprises. 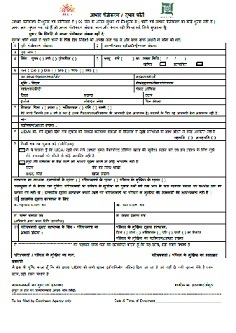 0 Komentar untuk "Online Download Procedure for Aadhar Card Application Form - Enrolment Form Issues by UIDAI"